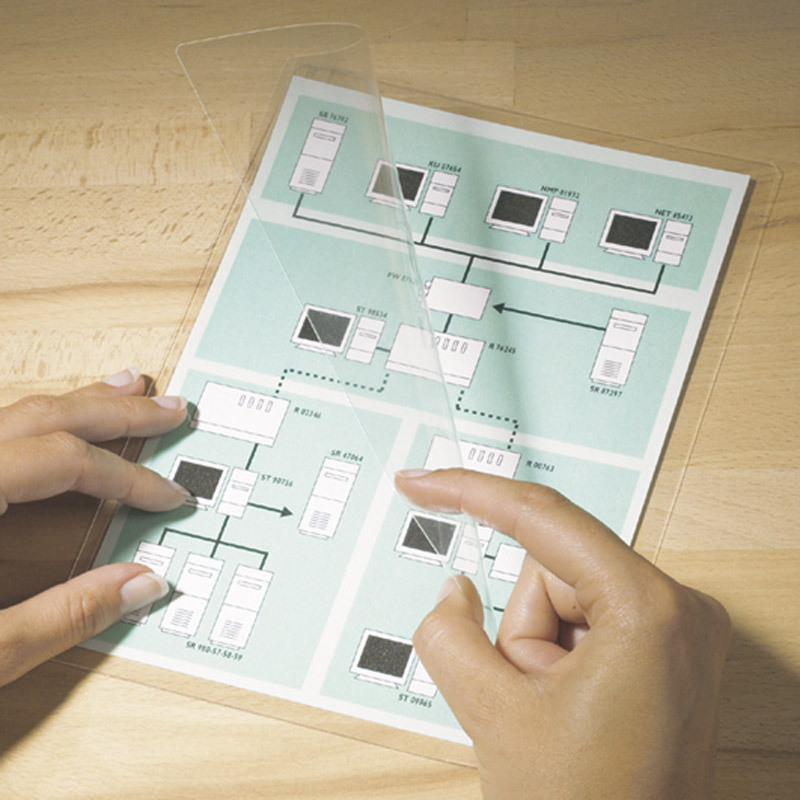 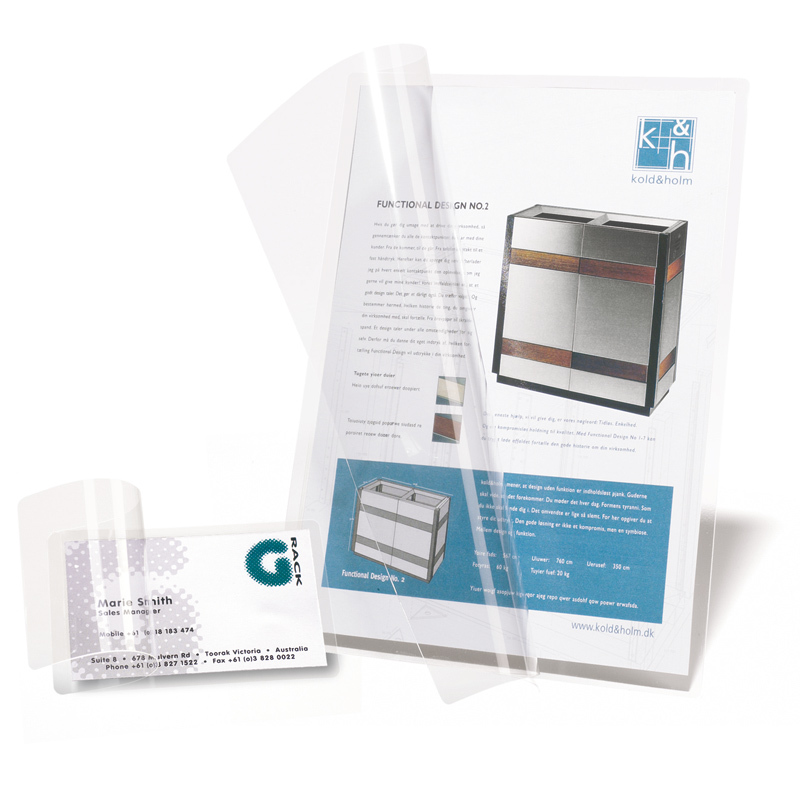 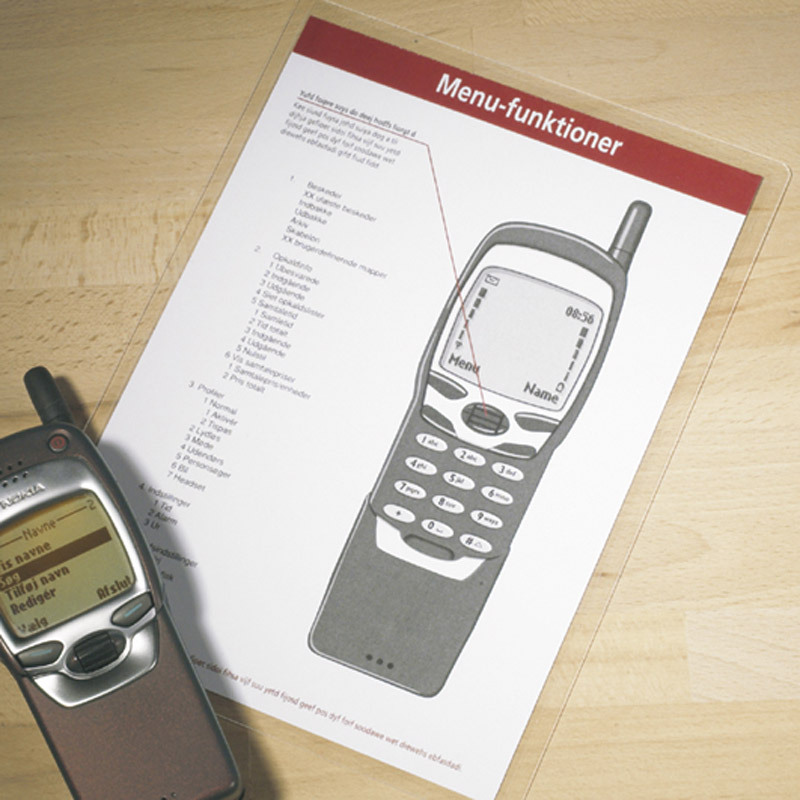 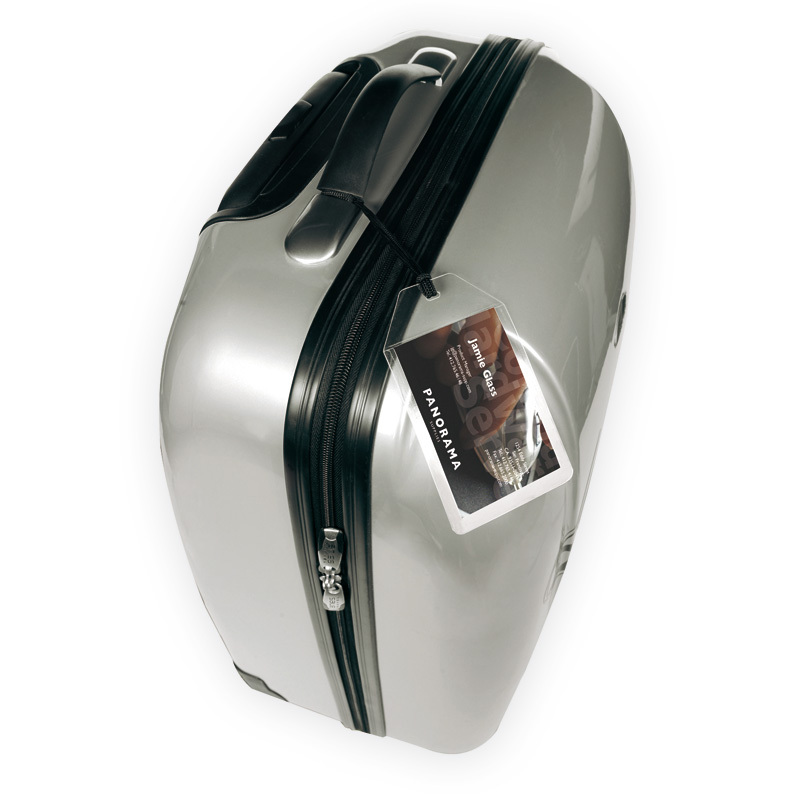 Self-laminating cards guarantee professional stylish presentation of documents and photographs. 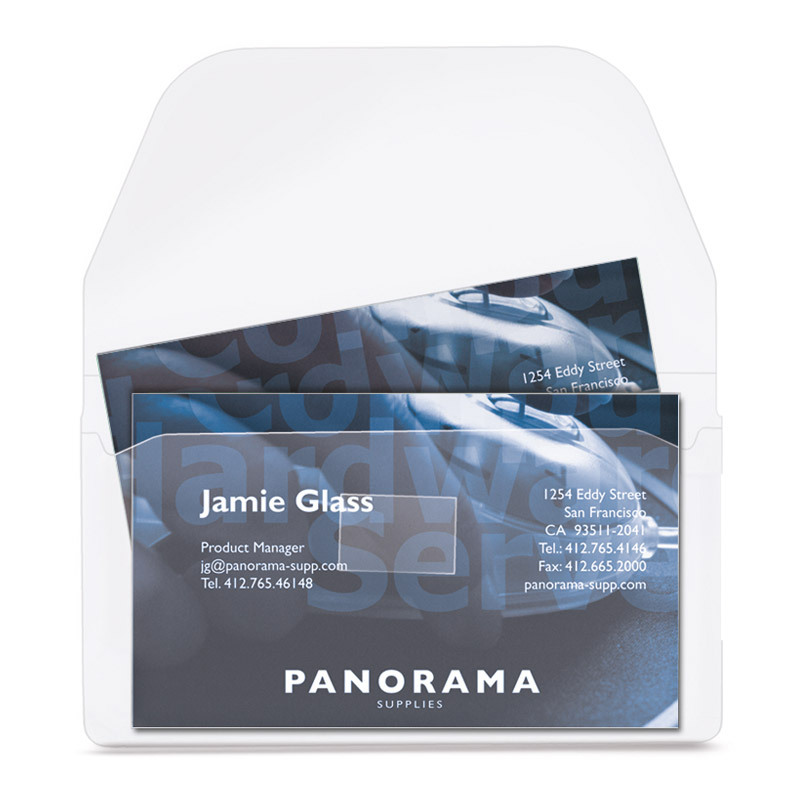 Self-laminating Cards protect your valuable items from losing their colour, as keep them sealed away from dust, dirt, grease, stains and moisture. 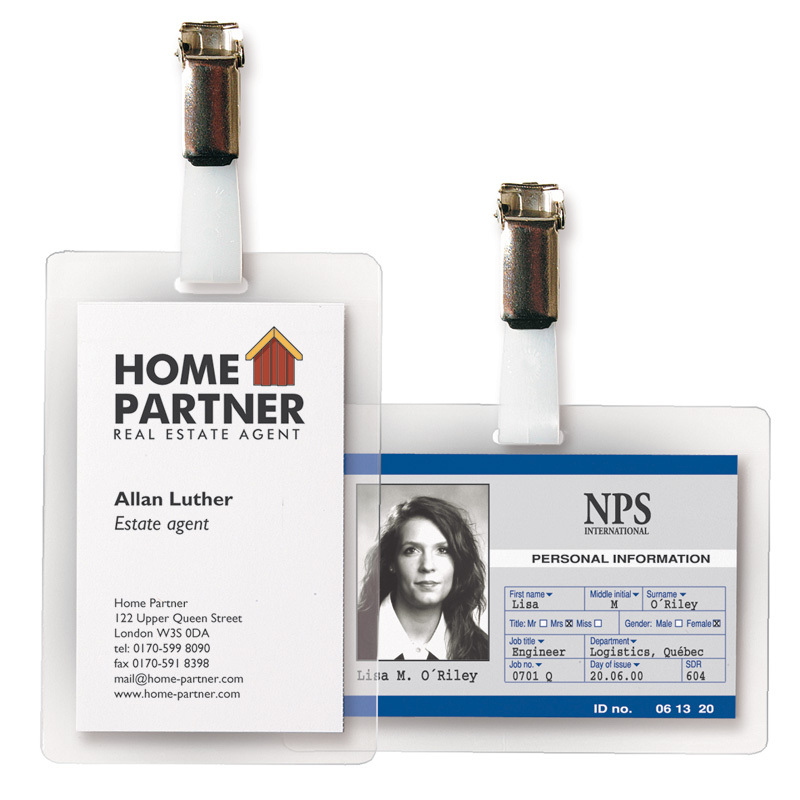 Made from a mixture of polypropylene and rigid PVC. 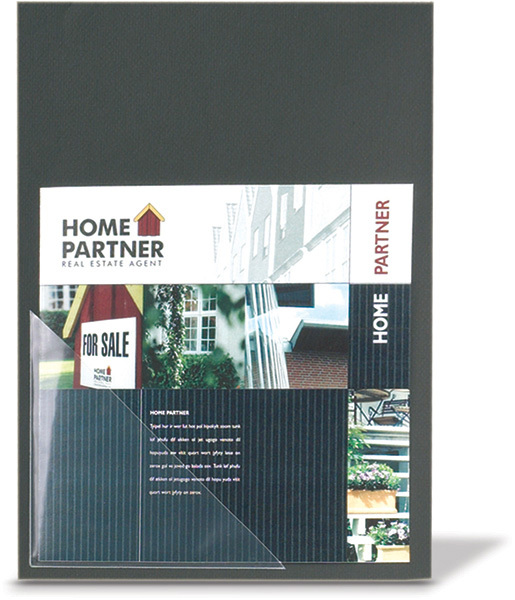 Credit Card 15+5 mil 1 3/4" x 2 7/8" 2 1/8" x 3 3/8"
Business Card 8+4 mil 2 1/8" x 3 1/2" 2 1/2" x 3 7/8"
Large Business Card 8+4 mil 2 1/4" x 3 1/2" 2 5/8" x 3 15/16"
Letter 8+4 mil 8 1/2" x 11" 9 1/8" x 11 5/8"
Self-Laminating ID Badges - 3" x 4"